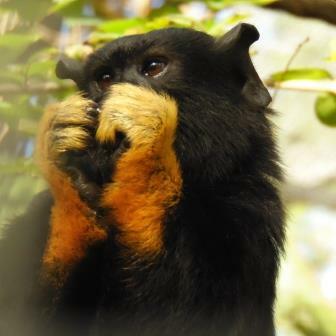 Support Monkey Retirement for the Amazing Give March 20! Life in captivity can never match life in the wild, so we provide monkeys a safe, forever haven that is as natural as possible. 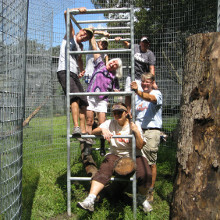 It's Almost Wild, and it's Jungle Friends Primate Sanctuary. 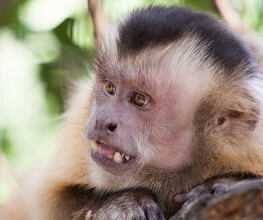 Universities are getting out of the monkey business. 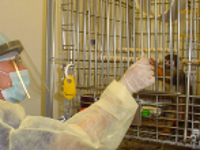 In 2014 we provided homes for 42 monkeys released from research. At Jungle Friends they will enjoy healthy, happy retirements like Gatsby and Zeke. 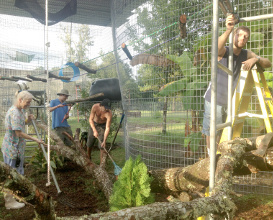 Volunteer or Intern at Jungle Friends! We run on volunteer power, so bring your group (up to 10) or come alone. We will teach you everything you need to know. Volunteer for four hours or four months -- it's up to you. We also have internship opportunities year-round. 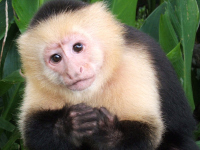 Our monkey sponsors live all over the world and come from all walks of life. 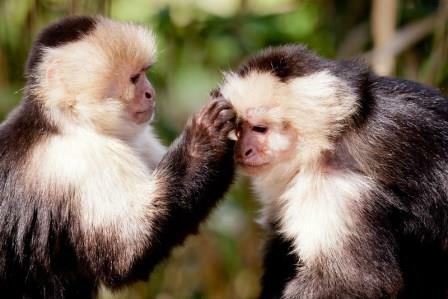 The one thing they have in common is that they have a special place in their heart for Jungle Friends monkeys. 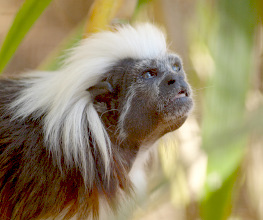 Zack Dubien sponsors Phil, a golden-handed tamarin. 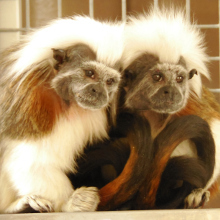 Although we aren't open to the public, sponsors are invited to meet the monkeys on Monkey Day each year. Monkeys love to paint! They paint with their fingers, their tongues, sticks and leaves... anything they can use to make a fabulous masterpiece. 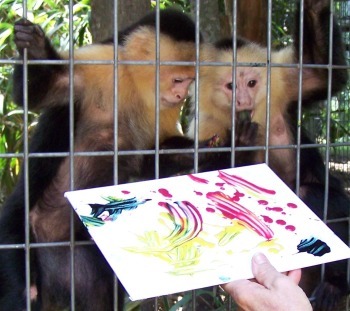 You can have a painting made specially for you by your favorite monkey! 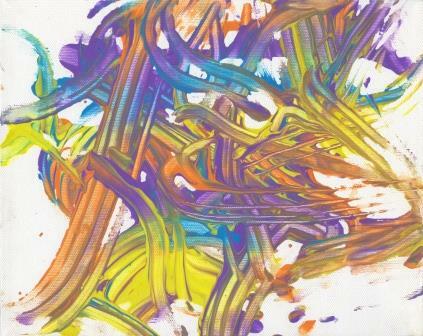 Order your painting, or get one when you sponsor a monkey. Monkey art makes a great gift, too! 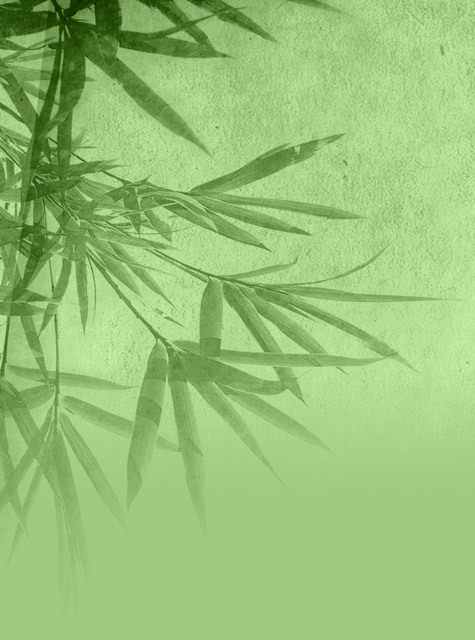 Your monthly donation provides food, housing and enrichment. 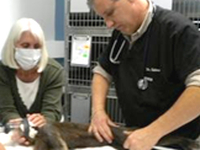 Help fund veterinary care and medical expenses for our monkeys.